OLD PARKED CARS. 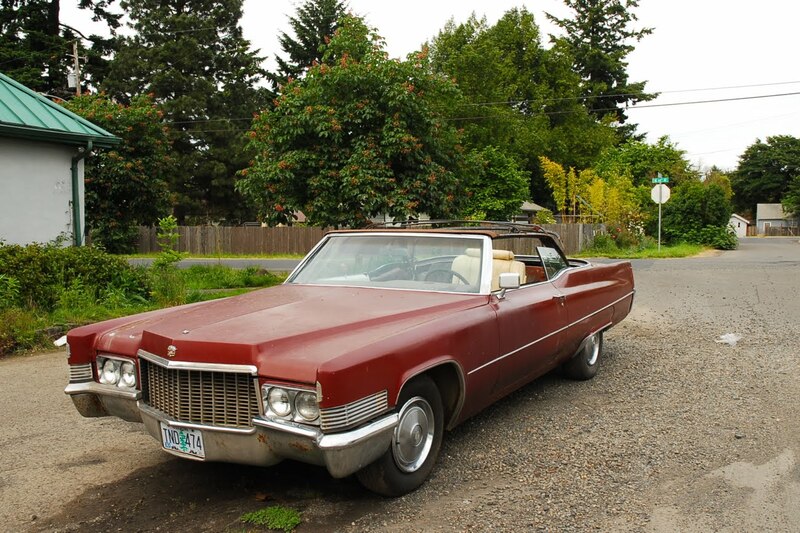 : 1970 Cadillac DeVille. picture 4 as the banner? At risk of looking stupid, I'm going to make a correction. I'm 99% sure Cadillac didn't make a '70 eldorado convertible. That would make this a DeVille. But who cares? Look at this boat! I wonder what's going on with the interior? Restoration project? Does anyone verify the model year and correct name of the car in the photo? This is not an Eldorado. 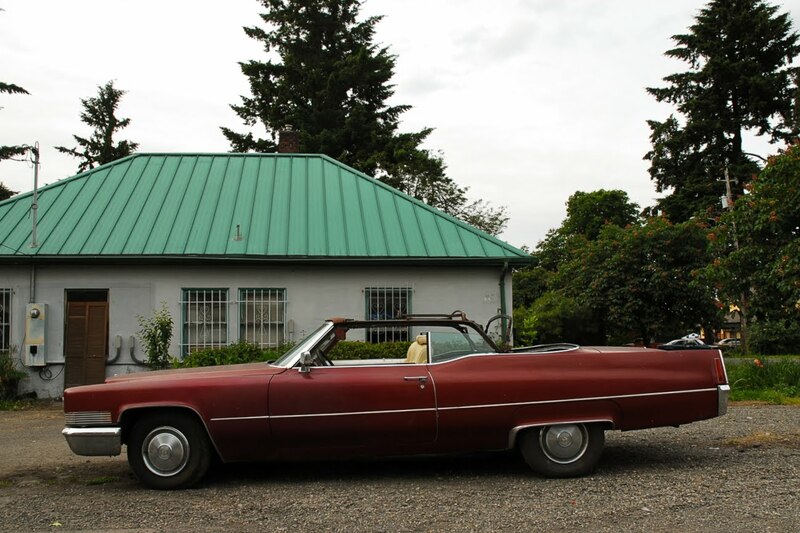 The car below is a '70 Eldorado. 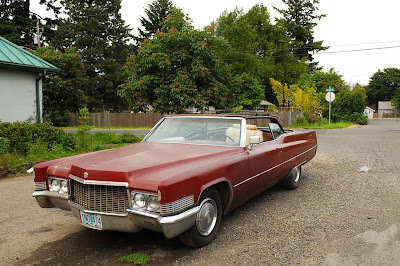 This is a 1970 Coupe Deville. Quite the thing he's got going on with the roof, heh. Thanks for the corrections guys! Actually, it's a DeVille, not a Coupe DeVille. 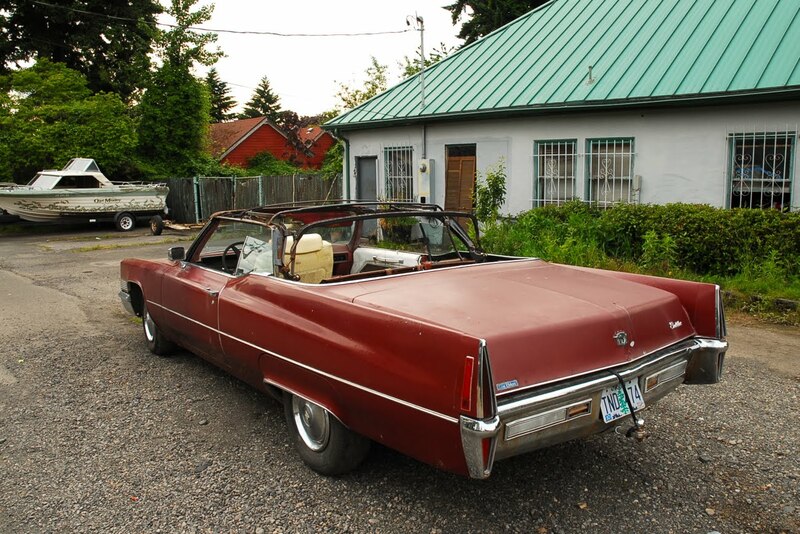 The convertible was named DeVille. My dad had a '69 Coupe DeVille, love these cars. Looks like the body is in decent shape. 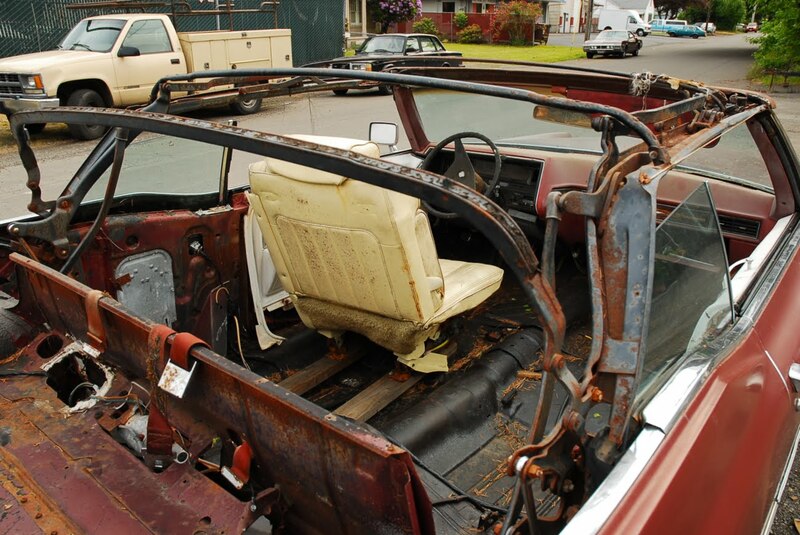 I hope it is getting an interior and top restoration. 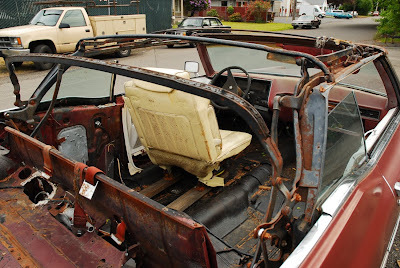 The seat is mounted on 2x4s.